The BSHS is committed to remaining a global organisation, and we have recruited a panel of International Advisors (IAs) to strengthen our presence throughout Europe and the rest of the world. Their role includes commenting on our policies (especially with respect to external affairs), outlining ways in which we could firm up our links with other countries, exchanging ideas and information, and suggesting potential collaborative ventures. The IAs are appointed on a two-year rolling basis. They are on the Council mailing list, and are encouraged to attend Council when possible. At present, we have eight, but we should very much like to recruit more, up to a maximum of sixteen. Please contact [email protected] if you would like to apply to join them. Suggesting collaborative ventures, including, potentially, conferences, exchange schemes, and research projects. The IA scheme will be reviewed for effectiveness every five years, first in 2022. This will be the responsibility of the Vice President. Ana Barahona studied biology and performed postgraduate studies on the history of science at the National Autonomous University of Mexico (UNAM). She stayed at Harvard University for a year with Professor Everett Mendelshon and was invited to the American Philosophical Society in 1984. She undertook postdoctoral studies at the University of California, Irvine, with Francisco J. Ayala, and has made several research visits to the Max Planck Institute for the History of Science, Berlin. She is Full Time Professor in the Department of Evolutionary Biology of the School of Sciences at the UNAM. A pioneer in the historical and philosophical studies of science since 1980, she founded the area of Social Studies of Science and Technology in the School of Sciences. She has focused on the history and philosophy of evolution, genetics, and human heredity and medicine (especially in Mexico), and on the relationship between epistemology and science education. More recently, her interests have focused on medical genetics (population genetics and cytogenetics), and the impact of nuclear physics in the development of radiobiology and genetics in Mexico during the Cold War. She has also worked on genetics and agriculture in post-revolutionary Mexico, within the framework of transnational science. Some of her published works include more than 50 specialized articles, several books of research, and textbooks for elementary education, middle school and college education in Biology and history and philosophy of science. 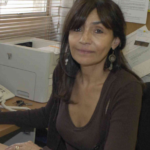 She is member of the Mexican Academy of Sciences and the National System of Investigators, CONACyT. She has been President of the International Society for the History, Philosophy and Social Studies of Biology; council member of the Division of History of Science and Technology of the International Union of History and Philosophy of Science, and member of the International Committee of the Scientific Society Sigma Xi. She has served as associated editor of the journal History and Philosophy of the Life Sciences; member of the editorial board of Biological Theory, Science & Education, Almagest, and of the Journal of the History of Biology. She has been recently acknowledged as a Corresponding Member of the International Academy for the History of Science. She received the 2014 National University Award (Premio Universidad Nacional 2014), for her contributions to science and technology studies, being the highest recognition that the UNAM gives to professors who have had a distinguished career. 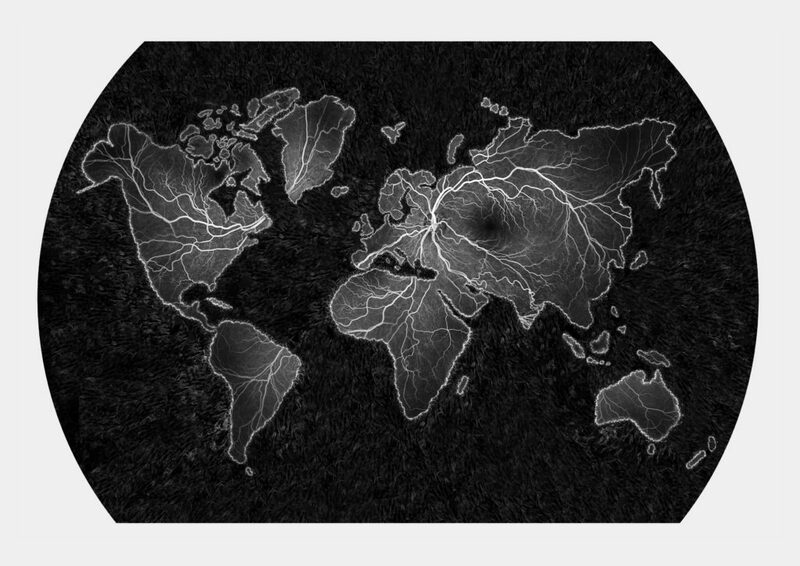 Brooke Penaloza-Patzak’s work addresses the role of collections in the transfer and transformation of knowledge over time and geographic distance. She completed her PhD at the University of Vienna Department of History in the context of an Austrian Academy of Sciences Doc Fellowship (2014–2018), and has been a visiting predoctoral fellow at the Max Planck Institute for the History of Science (2017), Visiting Researcher at the Berlin Ethnological Museum (2014), and a Smithsonian Institution SIMA Fellow (2013). Penaloza-Patzak is a member of the Working Group for the History of Science at the Univ. of Vienna and part of the Austrian Academy of Sciences Commission for the History and Philosophy of Science. 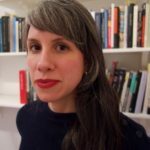 She is currently developing a historian of science’s guide to Viennese collections and archives and completing her first book, which details how nineteenth and twentieth century transnational flows of scholars and their working materials transfigured the cultural, conceptual, and material contours of anthropology. 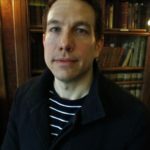 Jonathan works as a maître de conférences (literally a lecturer, but generally translated as Assistant or Associate Professor) in history and philosophy of science at the Université de Lorraine (Nancy) in France. He has a PhD in the history and philosophy of science from the University of Pittsburgh, where he wrote a dissertation on the relationship between pharmacy and chemistry in France at the end of the eighteenth century. He has since worked extensively on the history of pharmacy and, more recently, on the philosophy of pharmacy, as well as, less extensively, on the history of anatomy. He has published two books on the history of pharmacy (Diphtheria serum as a technological object, 2017 and Chemistry, Pharmacy and Revolution, 2005), and one co-authored with Bernadette Bensaude-Vincent on the philosophy of chemistry (Chemistry: The Impure Science, 2008). Jonathan has considerable international experience in the field, having worked in Germany (Max Planck Institut für Wissenschaftsgeschichte and the Charité in Berlin), in Australia (Unit for the History and Philosophy of Science, University of Sydney) as well as in Paris, Strasbourg and Lyon. He is treasurer for the French Society for the History of Science (Société francaise de l’histoire des sciences et des techniques (SFHST). Being an international advisor to the BSHS will, Jonathan hopes, afford him the chance to exchange with his British colleagues on a broad range of subjects. Geoff Bil (PhD, University of British Columbia, 2018) is an Andrew W. Mellon Fellow at the New York Botanical Garden, specializing in nineteenth- and twentieth-century botany, anthropology, empire, and indigenous history. His current book project, Fields of Empire: Science, Ethnoscience, and the Making of the American Century, examines American engagements with indigenous knowledges in Southeast Asia, Latin America, and the continental United States under the emergent rubrics of ethnobotany and ethnoecology. This builds upon his doctoral research, presently being adapted as a book manuscript entitled Indexing the Indigenous: Plants, Peoples, and Empire, which draws upon STS and indigenous critical approaches to examine the significance of indigenous – especially Māori – botanical knowledges in imperial botany and anthropology. He is currently a research fellow with the Philadelphia-area Consortium for History of Science, Technology, and Medicine, and previously held fellowships at the Newberry Library, University of Sussex, and the Stout Research Centre for New Zealand Studies at Victoria University of Wellington. He has published on the Māori-led intellectual property dispute surrounding medicinal mānuka honey, on the politics of indigenous representation in the Pacific Northwest, and, most recently, on the significance of Māori plant names as “boundary objects” in nineteenth-century botany, phytogeography, and anthropology. 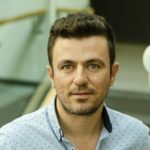 Francisco Malta Romeiras works at the Department of History and Philosophy of Science at the University of Lisbon. His research interests include the history of science in Portugal, early modern science, science and religion, Jesuit science and education, and book history. 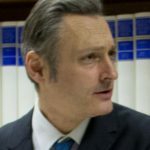 He held visiting positions at the Institute for Advanced Jesuit Studies, Boston College, in 2017, and the Oxford Centre for European History, and Exeter College, University of Oxford in 2019. 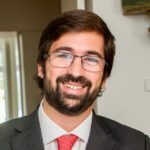 In the past few years, he has been working on the publication of a monograph on Jesuit science and education in modern Portugal entitled Jesuits and the Book of Nature (Leiden: Brill, 2019, forthcoming). His works have appeared in History of Science, Journal of the History of Science and Technology, Archivum Historicum Societatis Iesu, Journal of Jesuit Studies, and Brotéria. Recently, he edited with Henrique Leitão the selected works of the molecular geneticist and Jesuit scientist Luís Archer: Obra selecta do Padre Luís Archer, S.J., 4 vols. (Lisbon: Fundação Calouste Gulbenkian, 2015–2017) and published an illustrated history of the Jesuits in Portugal after their official return in 1858: Jesuítas em Portugal depois de Pombal. História ilustrada (Cascais: Lucerna, 2018). Currently, most of his time is spent on a project on the circulation and censorship of scientific books in the sixteenth and seventeenth centuries. He has been serving as a member of the editorial board of the Jesuit journal Brotéria since 2013. 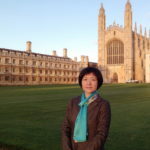 Dr. Haiyan Yang is an associate professor in the Department of History and Philosophy of Medicine at Peking University. With backgrounds in the life sciences and in the history and philosophy of science, her research focuses on the history of reproductive medicine and the history of evolution, seen in global and transnational perspectives. She has published on the history of evolution in Victorian Britain and China, and on medical humanities education and history of medicine in China, including: ‘Knowledge across Borders: The Early Communication of Evolution in China’, in The Circulation of Knowledge between Britain, India and China: The Early-Modern World to the Twentieth Century (Brill, 2013); and ‘Encountering Darwin and Creating Darwinism in China’, in The Cambridge Encyclopedia of Darwin and Evolutionary Thought (Cambridge University Press, 2013). She has held grants for research in the Department of History and Philosophy of Science, Cambridge University, the Center for East Asian Studies at Stanford University, the History of Science Collections at the University of Oklahoma and the American Philosophical Society Library in Philadelphia.